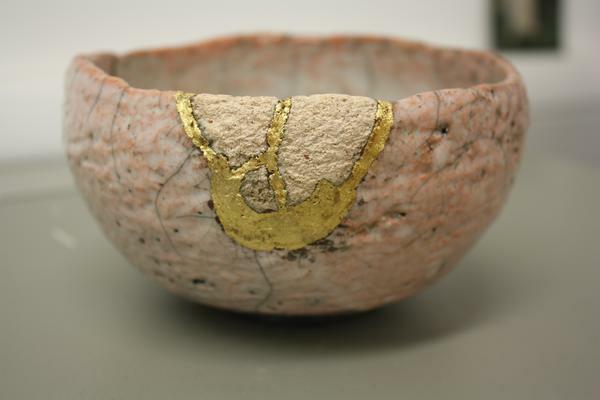 Have you seen a ceramic object repaired with gold? The technique of repairing ceramics with lacquer and gold is called gold lacquer repair. This is a traditional Japanese technique of repairing ceramics. The gold join may seem too obvious compared to almost-invisible Western repairs! However, there are some fair reasons. Before gold lacquer repair was invented, riveting was a main method of repairing ceramics. One of the problems with this method was that a vessel repaired in this way could never again hold water, because water would leak from the joins. Gold lacquer repair was invented to solve this functional problem and also to improve the aesthetic. Using lacquer solved the functional problem. Japanese lacquer is called urushi. For Japanese people, urushi is a familiar material which has been used from ancient times. Urushi is a very difficult material to use for conservation, because raw urushi is toxic and the process of drying is not easy. 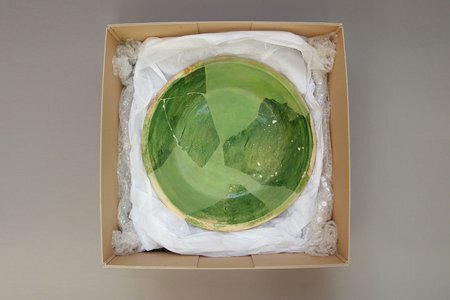 On the other hand, the merit of urushi is its strength, durability, and non-toxicity after drying, so that we can use the repaired ceramics again without any worries. Applying gold improved the aesthetic appeal. Japanese people have always admired the beauty of irregular and imperfect things. This is a Japanese aesthetic. 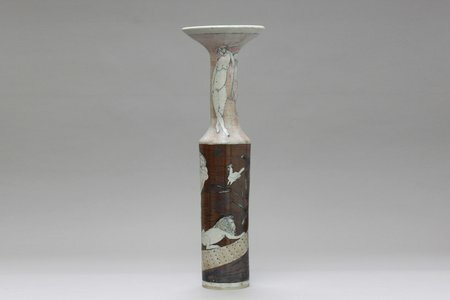 So, when the golden irregular shape appeared on the ceramics, people gave spiritual value to it. 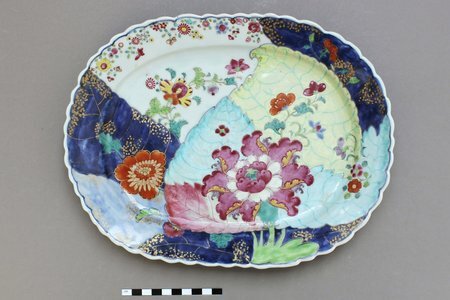 Then, the technique of gold lacquer repair reached the realm of art, so that ceramics repaired in this way are more valuable In Japan. We tried this unique technique! Preparation. We wore globes and cleaned tools and a room carefully, because we cared about allergy to Urushi. The procedure can be divided into three processes; bonding, filling and gilding. We started on the bonding process using urushi, first. Urushi adhesive was made by mixing urushi and rice powder, then the adhesive was applied to bond the shards. 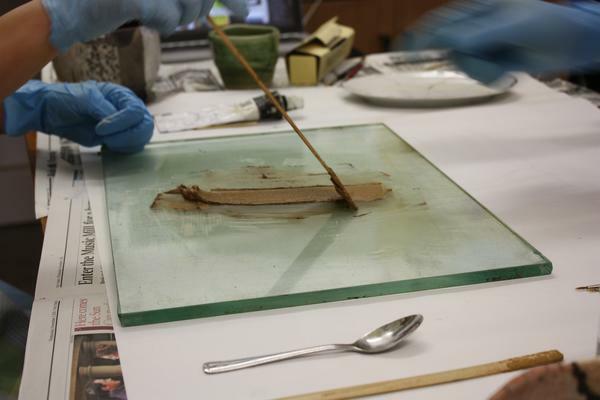 After bonding, the objects were put in a sealed box with a glass of water for 3 weeks. As the water evaporated, the inside of the box was kept humid. 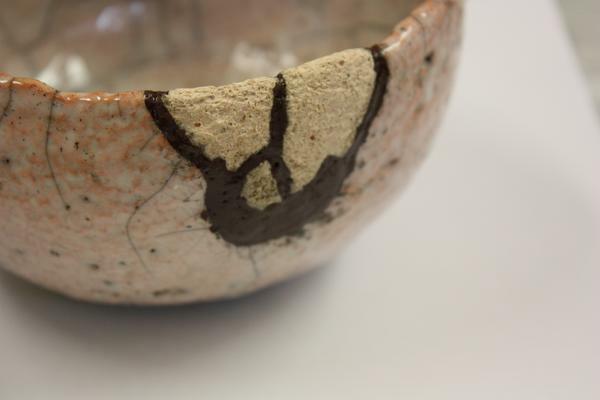 Urushi needs a specific humidity (75-85 percent) and temperature (25-30 degrees Centigrade) for a few weeks to dry. The brown paste is urushi and the white one is a mixture of rice powder and water. This is a picture of making urushi adhesive. It is important to mix urushi paste well until the paste become sticky. After 3 weeks, we tried the filling process as the next step. 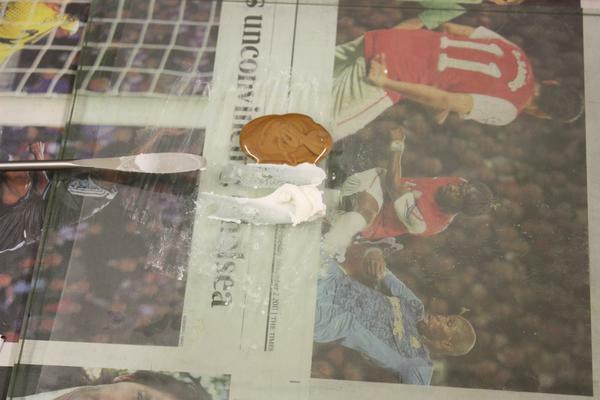 Two different clays, coarse and fine, were used to fill missing areas. First, coarse clay mixed with urushi was applied by spatula as a first layer. Then the objects were kept in the humid box for 2 weeks to dry. After that, fine clay mixed with urushi was applied by brush as a second layer. The objects were kept in the humid box again for 2 weeks. Urushi shrinks after drying, therefore we need to apply urushi a few times. Now all missing areas were filled! The black area is Urushi. We can see that all shards were bonded and missing areas were filled. Then, we tried the gilding process which is the final process. First, the dried urushi fills were smoothed with sandpaper. It is very important that the surface of the fills is completely smooth when gold is applied. Then, urushi size, which is called red urushi, was made. Iron red pigment (5g) and urushi (3.5g) were mixed and refined, then completed Red urushi was applied over the urushi fills by brush. After sizing, the objects were put in the humid box for approximately 1 hour, then, gold was applied when the red urushi was suitable tackiness. Gold powder is traditionally used; however, it is quite expensive, so we used gold leaf. This is red urushi, which is used as a size for gilding. Gold leaf was applied. Now, gold lacquer repair was completed. Gold lacquer repair is a completely different sort of restoration. Aesthetic value and functional aspect can be said to be the primary features of it. 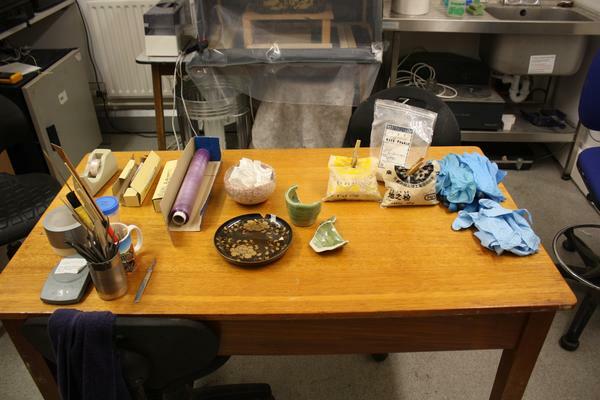 It was a valuable experiment to know the actual process of gold lacquer repair, and we enjoyed it!